By using this site you hereby agree to the terms and conditions stated below. Rooted Blessings may update or revise these terms and conditions at any time and a continued usage of the Rooted Blessings websites is your acceptance of these terms. 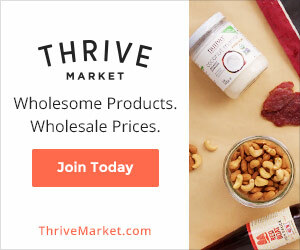 Any statements or claims about possible health benefits about foods or supplements on this website have not been evaluated by the Food and Drug Administration. No products or advice on this blog are intended to diagnose, treat, cure, or prevent any disease. This site does not contain medical advice. If you have an emergency please call 911 or contact your medical care provider. Always consult your health provider before making any change in the use of your medication, changing your exercise regimen or modifying your diet. I am a trained childbirth doula. However, if you are not one of my formal clients I am not your childbirth doula. I help couples to weigh the pros and cons of procedures during childbirth, support them in comfort measures, and advocate for their desires during childbirth. I do not deliver babies or perform any sort of medical procedures for my clients. Medical procedures are outside the scope of practice for a childbirth doula. I am trained and certified by DONA International. If you have a medical problem with your pregnancy or fertility please contact your health care provider. I am not responsible or liable for any of the information on this blog if you choose to use it. I am also a trained Nutritional Therapist Practitioner from the Nutritional Therapy Association. If you have not signed a consent and disclaimer I am not your Nutritional Therapy Practitioner/ Health Coach. And, do not take my recommendations as such. Personal clients have recommendations made to their specific needs. I do not diagnose or treat medical conditions. I am trained to support the body by nourishing foods to support overall health and allow it to function at its best. My basic goal is to help you to maintain your own health. If you decide to use any of the advice on this blog it is your responsibility to inform your health care provider of this change. I am not a licensed registered dietitian or clinical nutritionalist. I am not responsible or held liable for how you choose to use the information on this blog. This blog is a way for me to share what I have learned through both these trainings as well as much of my own research. I always recommend that you do your own research for anything that you read here. I do believe that with proper eating and digesting of nourishing foods the body is able to maintain good health. However, please do your own research. Each person has their own unique nutritional needs and many statements here reflect my own findings and opinions. Things that I do for myself and my family may not be beneficial for you. I am not held responsible for any course of action you may choose to follow for yourself or your dependents. Recipes and ideas may not comply with current food safety standards – please use your own judgement when preparing foods that you eat. I do not promote anything outside my ideology, however I do accept paid advertising, sponsorship, affiliate programs, and compensation for companies that I agree and believe in. In compliance with FTC rules I will clearly disclose if I have been compensated in any ways by a company with product or cash. Any advertising or product reviews will always be truthful and never misleading. Rooted Blessings does not buy, sell, trade, or disclose email lists or any of the information of its users to third parties without your permission. We feel as though your privacy is very important to us and we will never sell personal information. The only time we may pass on your information is if a third party is giving something away and you have consented us to do so by participating in the giveaway. Any email addresses or personal information that is collected for a newsletter or giveaway will only be used as you have consented to do so. Use of Rooted Blessings content including but not limited to document, posts, graphics, logos, forums, polls, etc. is strictly prohibited without written consent both from the site and the individual author, if applicable. You may not modify any content, copy, distribute, transmit, display, perform, reproduce, publish, license, create derivative works from, transfer, post on any network, broadcast in any media or sell any information, software, products or services obtained from the Services unless expressly permitted by Rooted Blessings. Rooted Blessings reserves the right to delete any comments that are considered hate speech, or bullying. Any comments that include profanities will be deleted. Rooted Blessings reserves the right to remove any comments that it feels like these terms. You agree to defend, indemnify, and hold Rooted Blessings and its administrators, harmless from and against any claims, actions or demands, liabilities and settlements including without limitation, reasonable legal and accounting fees, resulting from, or alleged to result from, your violation of these Terms and Conditions.